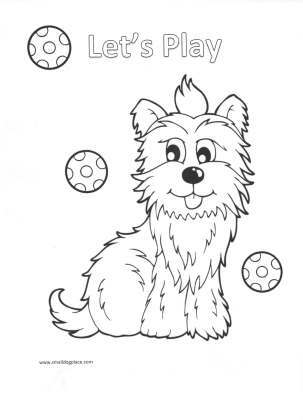 Enjoy these free Puppy Coloring Pages. Grab some crayons, markers, or colored pencils whatever you prefer and get ready to get creative. To get the full copy of the picture, click on the thumbnail below which will open up the pdf file. You will need to have a pdf reader to open these files. Once opened, you can print and enjoy. Need some color suggestions. Scroll to the bottom of this page. We will provide the official AKC's acceptable colors for the breeds pictured on this page. But don't let that stop you kids, use your imagination. Why not a rainbow dog? Not sure what colors to use? Well it really doesn't matter does it? But if you want to be authentic, try clicking on the links below to browse the breed pages and see some photos of the dog. Hope this helps. Bedlington Terrier: Blue, Liver, Sandy and Tan. This breed really is a dog even though it looks like a lamb. 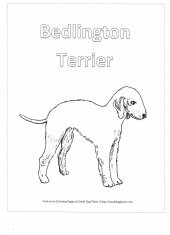 Read about them now to see if the Bedlington Terrier is the right breed for you. Boston Terrier: Brindle, black or seal (which looks black with red highlights. This breed was made in America and has become a favorite of many people. Read about the Boston Terrier. Want to know all about the Chihuahua? Read up on this breed and find out why they are so popular. Did you know that the Chinese Crested comes in two different forms? One that has hair and one that is nearly hairless. Read more about the Chinese Crested. Brindle, fawn, white, black and a mix of all those colors. These dogs make great family pets. Read up on the French Bulldog and decide for yourself. Black, fawn, apricot fawn, and silver fawn with a black mask. 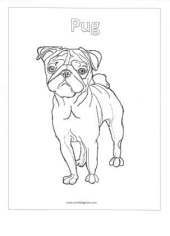 The pug requires little in the way of grooming and is just the right size for an active family. Read up on the Pug. 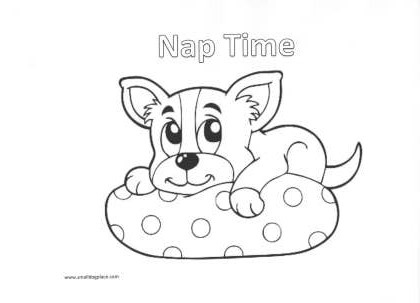 Shih Tzu: All Colors are Permissible so get out those crayons and let your imagination loose. Want to know more about the lovable Shih Tzu?